The GCMS-QP2020 has been designed to meet the needs of high-performance analytical instruments for monitoring trace levels of compounds releated to environmental pollution and human health and for assisting in the development and evaluation of new, highly functional materials and chemical products. A new turbomolecular pump with improved exhaust efficiency has been adopted. This significantly improves performance when not only helium but also hydrogen or nitrogen is used as the carrier gas. In addition, the differential exhaust system evacuates the ion source and quadrupole separately, thereby achieving the optimal MS state under all carrier gas conditions. A high-performance ion source achieves stable, high-sensitivity analysis. The Quick-CI function can perform measurements by switching between EI and CI modes, with the same ion source and without stopping the MS.
At scan speeds of 10,000 u/sec and faster, the ions are accelerated at the optimal voltage using the ASSPTM function (Advanced Scanning Speed Protocol), which helps in achieving at least five times better sensitivity than conventional systems. The Smart SIM automatic method creation function automatically configures the SIM program to suit the retention times. Even in cases where there are a number of compounds and they are apportioned to multiple methods, the methods can be integrated while maintaining the sensitivity as is. 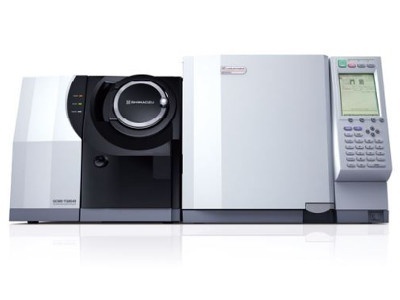 The GCMS-2020 offers itself to be configured for a variety of applications – Headspace analysis, (volatile substance analysis in food, pharmaceutical, chemical and environment) , Purge& Trap Pyrolis (volatile organic compounds in water), Pyrolysis-GCMS (versatile tool for the analysis of polymers), Thermal Desorption (analysis of low concentration samples), Multi-Functional Autosampler(liquid injection, headspace injection, solid-phase micro extraction) , off-flavour analysis, Multi-Dimensional Gas chromatograph (highly accurate separation of target components from complex matrices) , comprehensive GC x GC-MS system (two-dimensional chromatography data acquisition).